“Hand firearm and cold steel from the Russo-Turkish war 1877-1878”. Sofia, 1978. L.Gippov. The catalogue is in popular science form and gives an idea both to specialists and general readers about the armaments of the main fighting armies during the Russo-Turkish war 1877-1878. 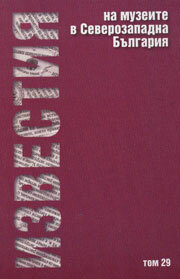 It is in Bulgarian. A catalogue of an exhibition in “A.S.Pushkin” museum in Moscow, The Russian federation /4th December – 6th January 2002/ Sofia, 2001; Moscow, 2001. 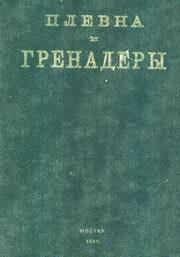 T.Dicheva, I.Petrova. The publication is in Bulgarian. The publication is in Russian. 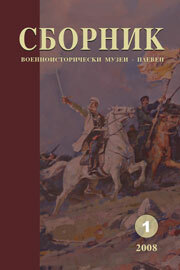 “The participation of the Don Cossacks in the Russo-Turkish war of liberation 1877-1878”. Vratsa, 2003, N 20 “Bulgarian North-west” D.Radev. The publication is dedicated to the 125th anniversary of the Pleven epopee 1877. It follows the way of the Don Cossacks to the Balkans during the Russo-Turkish war 1877-1878. 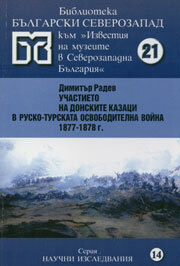 The publication is dedicated to the perished warriors for the liberation in 1877 on the battlefields near Pleven and to the 100th anniversary of the War history museums – Pleven. 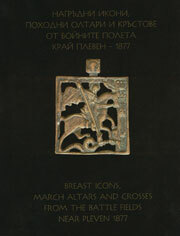 It shows 45 old ritual icons, field altars – diptychs and triptychs and 4 crosses found on the battlefields near Pleven in 1877. The text is in Bulgarian and English and the summary is in English, German and French. 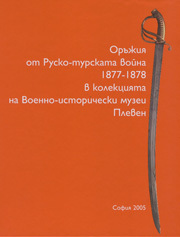 “Weapons from the Russo-Turkish war 1877-1878 in the collection of the War museums – Pleven”. Sofia. 2005. 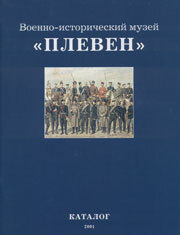 The publication is dedicated to the 100th anniversary of the War museums – Pleven. It presents cold steel, hand firearm and artillery armaments of the armies that took part in the armed conflict in 1877-78 and some rare patterns from the same period. There is information about the constructors, manufacturers, the special factory insignia, dimensions and other useful information to collectors and amateurs. 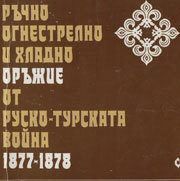 The text is in Bulgarian and the summary is in Russian, English, and French. Journal of the museums in North-west Bulgaria – annual, of the museum associations in Bellogradchick, Vratsa, Lom, Montana and Pleven. 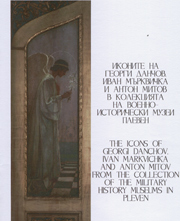 “The icons of George Danchov, Ivan Murkvichka and Anton Mitov in the collection of the War museums in Pleven” – Sofia, 2007. Nadya Asparuhova." The publication is dedicated to the 100th anniversary of the War museums in Pleven. Special attention is paid to the Chapel-mausoleum “St.George Victor” in Pleven and to the museum house “Grand duke Nickolay Nickolaevich” in the town of Pordim and especially to the invaluable icons made by Ivan Murkvichka, Anton Mitov and George Danchov. 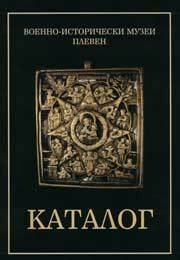 The publication comprises unpublished yet icons, which represent a very important stage of the development of the Bulgarian iconography. “Plevna and grenadiers” – Moscow, 1877, K.A.Kondratovich and I.Y.Sockol"
A phototype publication printed on the initiative of the Committee for building the monument to General M.D.Skobelev.